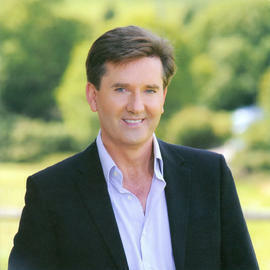 The world’s first museum dedicated to singing sensation Daniel O’Donnell is to open this summer. The Daniel O’Donnell Visitor’s Centre is to open in the old National Irish Bank in the town of Dungloe in May. The centre will have a television room which will tell all about Daniel’s life, his family history and much of his memorabilia. The museum will even include Daniel’s wedding suit and wife Majella’s wedding dress. The centre is still being renovated but organisers are hoping the centre will become a focal point for Daniel fans from across the globe. Organiser of the museum Pat Nora Gallagher told the Shaun Doherty Show on Highland Radio of the exciting news. “Daniel came to me when he was moving out of his large house on Cruit Island four years ago and said he wanted me to mind all his memorabilia including all his gold discs. “Now we have finally got it together and we are really excited about the opening,” he said. The museum, which will be an A to Z of Daniel’s life and times, even includes the famous red This Is Your Life book which Daniel received from Michael Aspel. “The centre really will contain almost every aspect of Daniel’s life including the 22 different BBC programmes he appeared on. “We all know how popular Daniel is and we are hoping it will become a major tourist attraction for the area,” added Mr Gallagher.